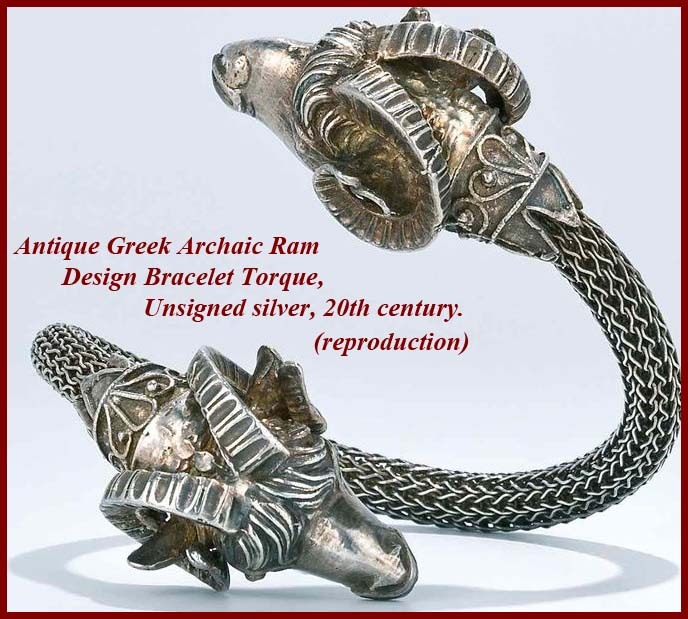 The Archaic period in Greece (800 BC – 480 BC) is a period of ancient Greek history that followed the Greek Dark Ages. 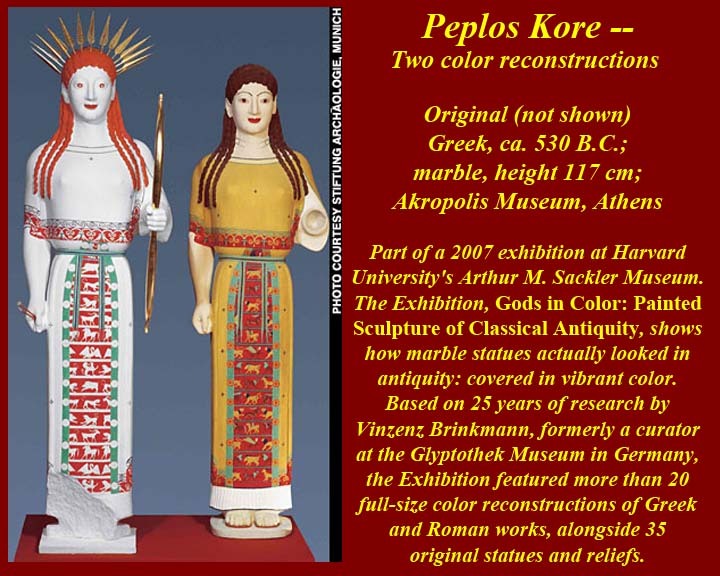 This period saw the rise of the poleis (singular polis, generally translated as "city-state"), the founding of colonies, the annexation of some of the eastern poleis by the Persian empire, as well as the first inklings of classical philosophy. The newly invented Greek theatre created tragedies that were performed during Dionysia; written poetry appeared alongside the reintroduction of written language, which had been lost during the Greek Dark Ages; and the oral epics, the Iliad and the Odyssey were written down for the first time, ostensibly by Homer himself. 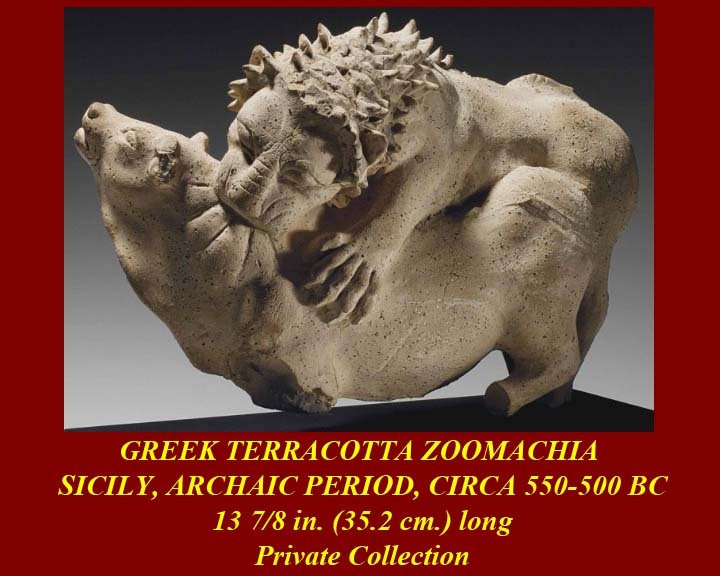 The term archaic thus covers cultural developments as well as social, political and economic changes. 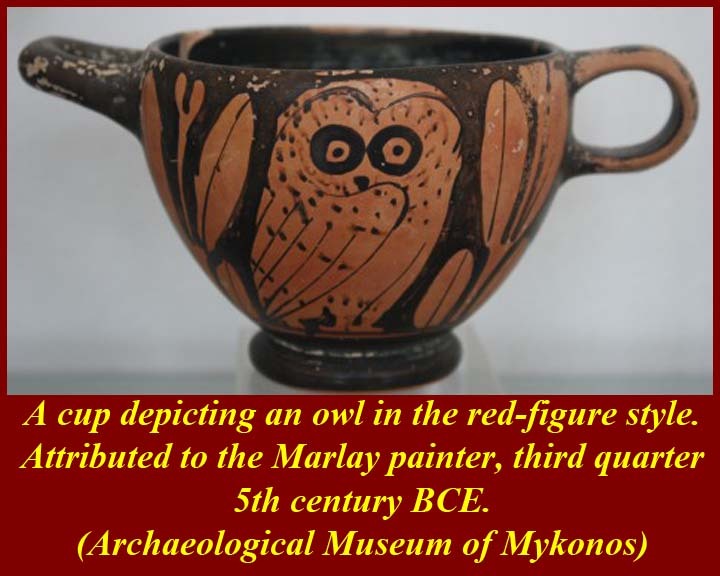 The starting point of the Archaic period in 800 BC is defined as the "structural revolution", meaning the sudden upsurge of population and material goods that occurred c. 750 BC, and the "intellectual revolution" of classical Greece. 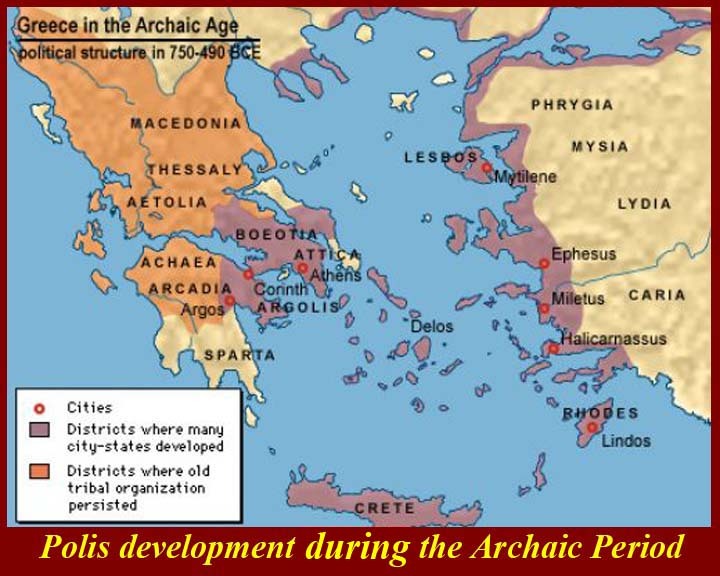 The sharp rise in population at the start of the Archaic period led the settlement of new towns and the expansion of the older population centres within poleis. 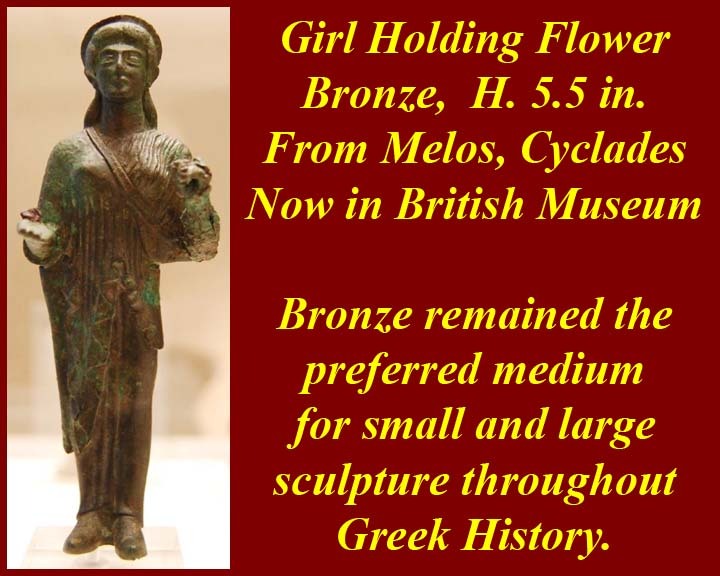 Increases in the population also led to the establishment of colonies along the Mediterranean and Black Sea coasts that began about 800 BC. 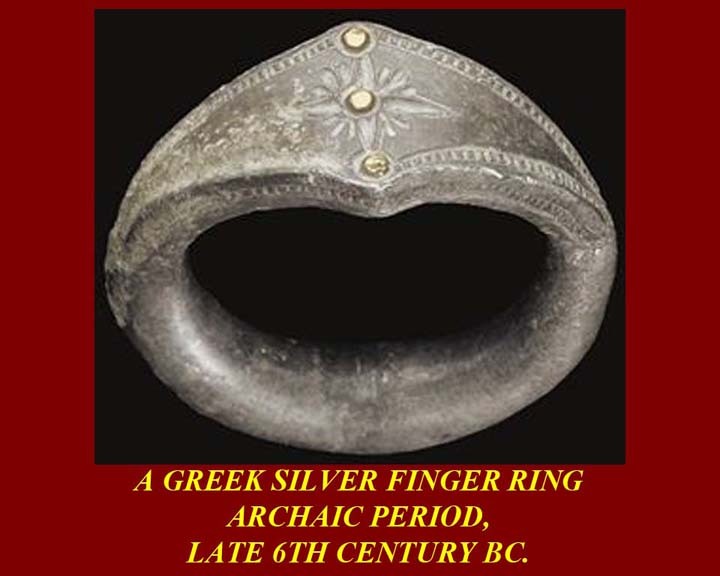 The reason for this phenomenon has been described by Greek authors as stenochoria, or "the lack of land", but in practice it was caused by a great number of reasons, such as rivalry between political groups, a desire for adventure, expatriation, the search for trade opportunities, etc. 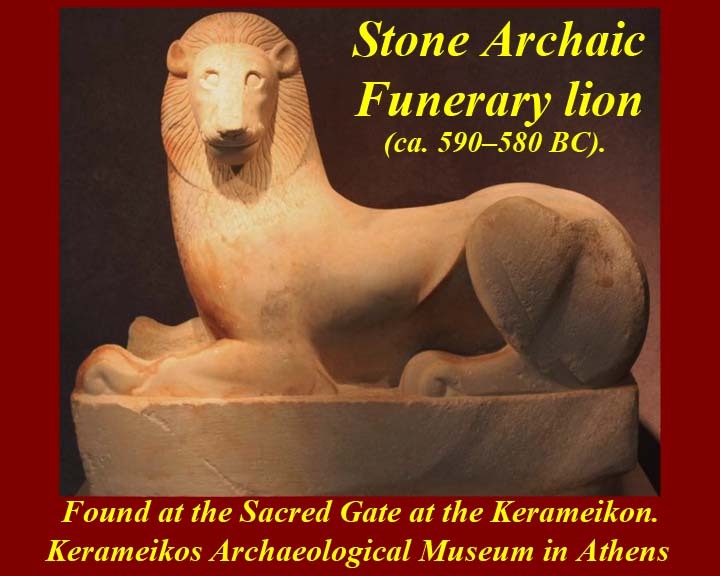 The end of archaism is conventionally marked by Xerxes' invasion of Greece in 480 BC. 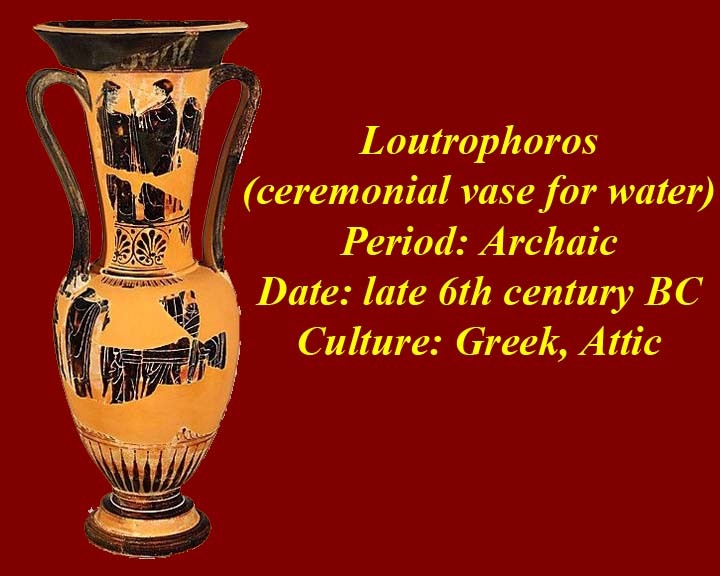 TKW note: We have to keep reminding ourselves that any certainty about dates in ancient history/archeology is fluid and dependent on definitions. 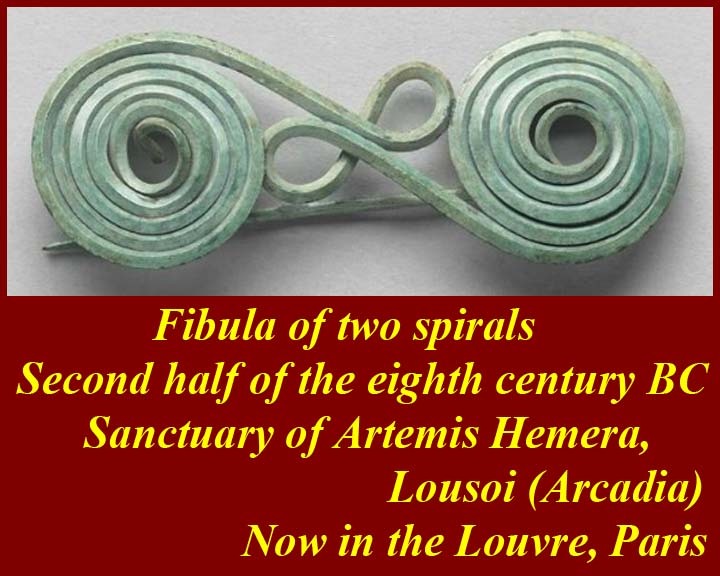 If we define the beginning of the "archaic period" as the time when certain political/social/artistic changes were evident we also have to keep in mind that the changes did not occur everywhere at the same time. Referring to some places having early or late development, it should be remembered, is just a convention of our times. 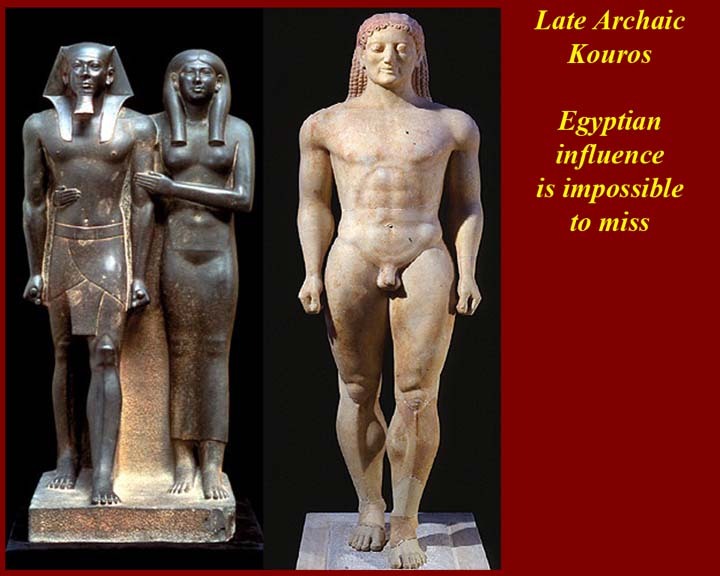 The "end" of the Archaic Period is defined in another modern convention as the time of the 480 BC invasion by Xerxes. That certainly would have be traumatic, but it is doubtful that folks would have said at the time, "After this is over, we'll all be classical." city.) 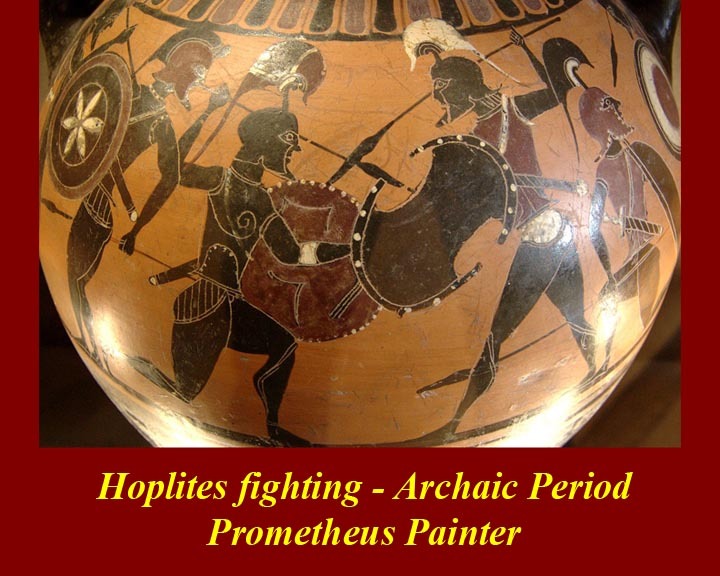 Polis evolution continued in the Archaic period as units became larger and more organized around the hearth of the leading family in each polis. 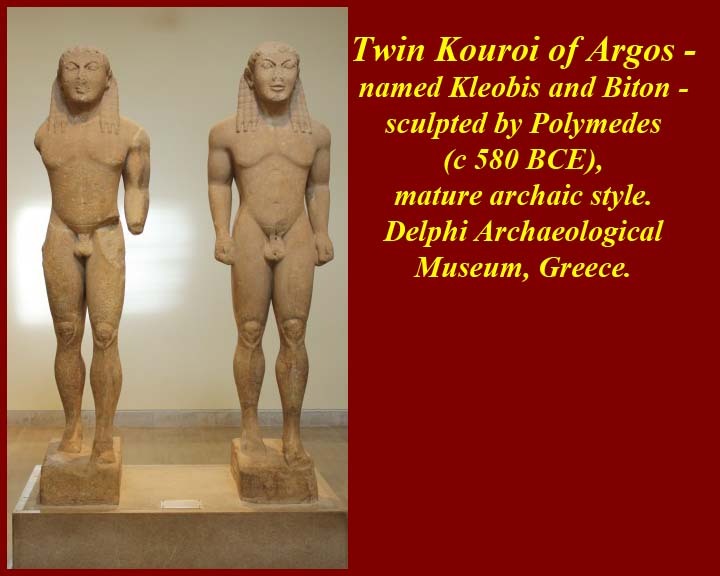 There were eventually over 1,000 poleis in the Greek World but among the most important were Athens, Sparta, Corinth, Thebes, Syracuse, Aegina, Rhodes, Argos, Eretria, and Elis. 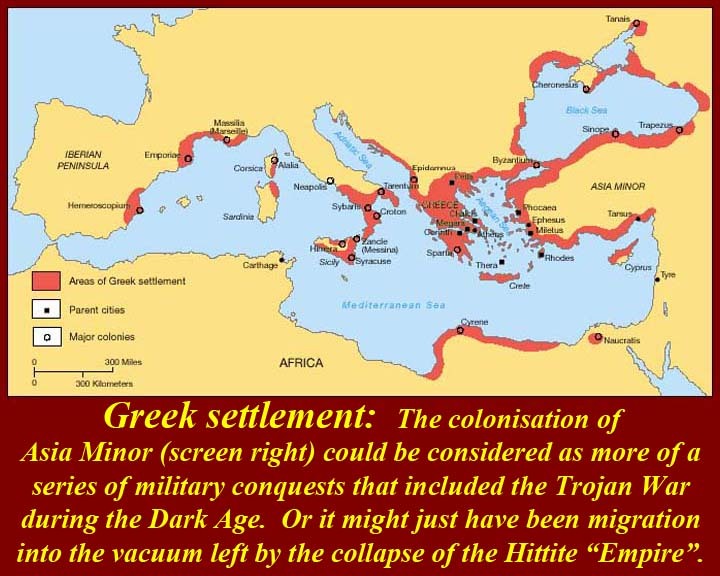 The biggest was Sparta, although with some 8,500 km² of territory, this was exceptionally large and most poleis were small in size. 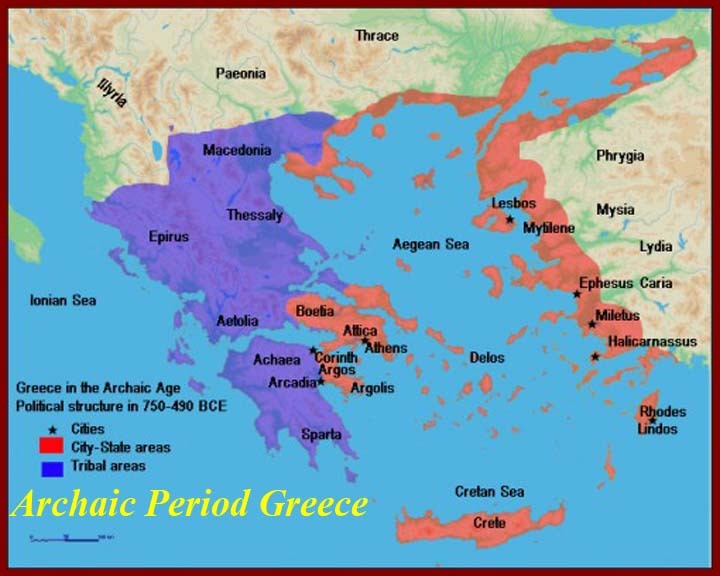 However, poleis such as Athens, Rhodes and Syracuse possessed significant naval fleets which also allowed them to control wide areas of territory across the Aegean. 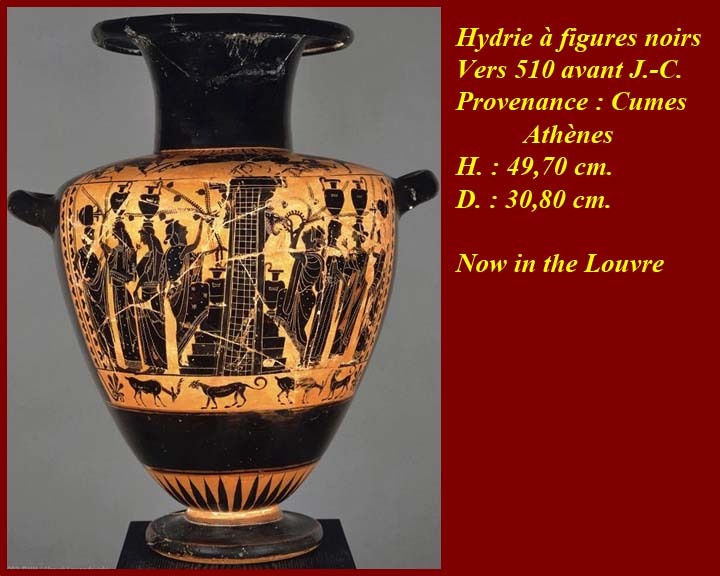 (From Ancient History Encyclopedia at http://www.ancient.eu/Polis/. When citizens of different poleis (the plural form of polis) met, the obvious way of identifyind an individual was to call him by his polis and to us an adjective form of the name of his polis as a kind of surname to be added to his name. We do someting similar but with a slightly different spin. If we say a person is an Arlingtonian (adjective form) we generally mean that the person is from Arlington -- Joe the Arlingtonian lives in or is from Arlington County (a toponym - name of the urban center). 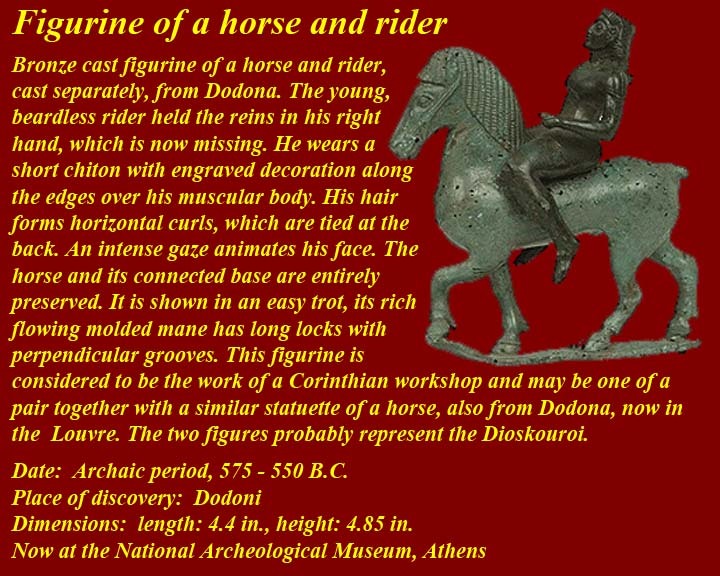 The Greeks would have taken this to mean Joe who is a member of that group of people known as Arlingtonians (Arlingtonians is the plural adjectival form of the descriptor/identifier that was used as a surname for Joe). 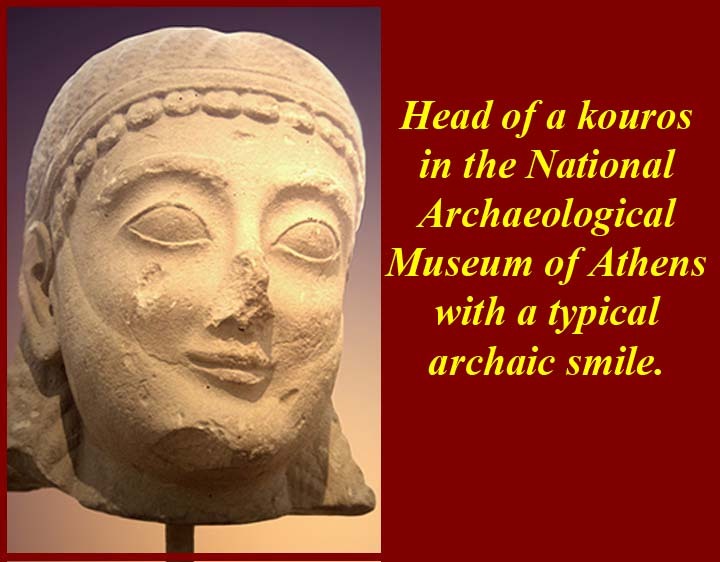 A group of Greeks could depart from a location and settle elsewhere and the group would still be a polis. When population in a locality (known by its toponym) grew overlarge, a polis could spawn another polis, which would find a different place to live. A new name might be chosen, or, due to seeming lack of imagination, the new group might just call itself "Neapolitans"= "folks of the new polis", which, judging from settlment place names around the Mediterannean and Black Seas, happened more often than we would have expected, in Italy, Sardina, Apulia, Crete, Thrace, Tunisia (Nabeul), Northern Greece, etc. -- even in Ohio. 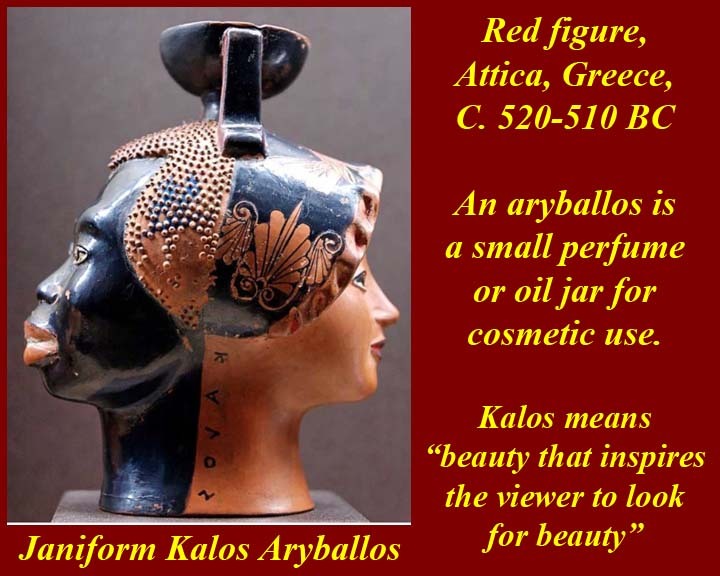 Greek towns (inhabited by poleis), what we loosely cal city states, abutted against each other and rigorously defended against neighborly aggression, meanwhile exploiting every opportunity to engage in aggression themselves. The urban center could be walled, both citadel and lower city, but the hinterlands, on which the polis depended for food, water, lumber, metals, etc., could only be defended by the possession of a "human wall" of armed citizens. 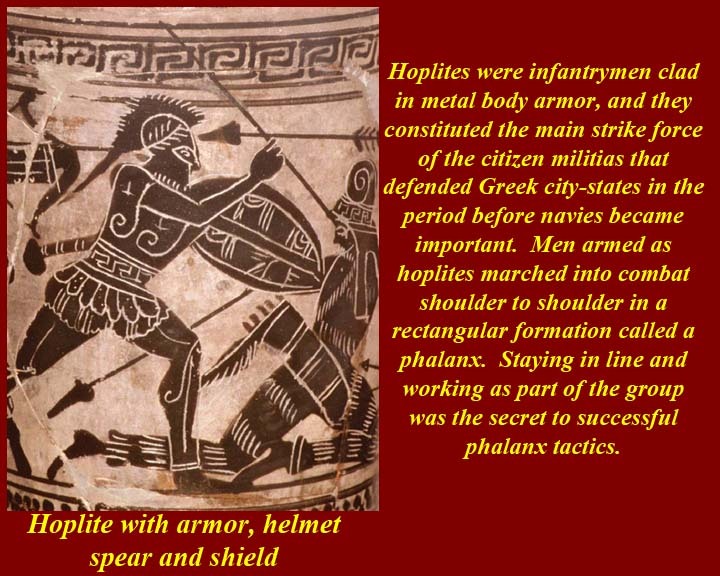 At first, citizens were required to arm and armor themselves, but, especially in the larger, more wealthy poleis, the armory became a function of the polis. Not that anyone was greedy -- they only wanted the land adjacent to their own. 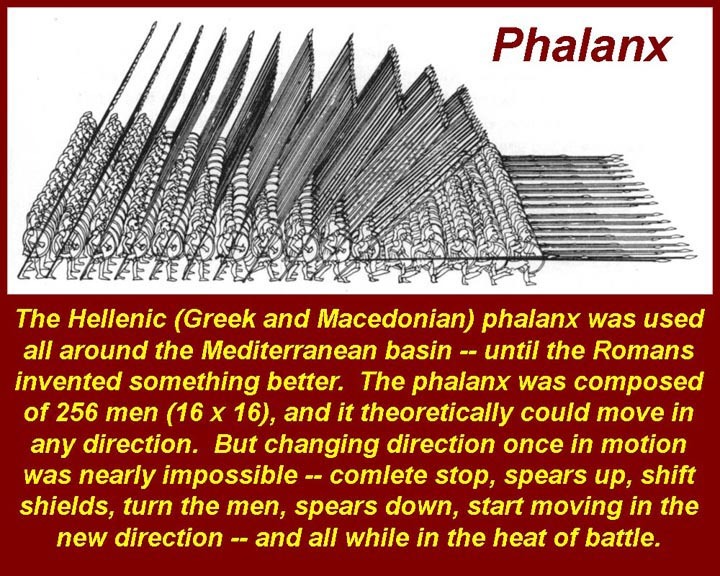 Hoplites, ideally, fought in massed formations called phalanges (singular=phalanx). 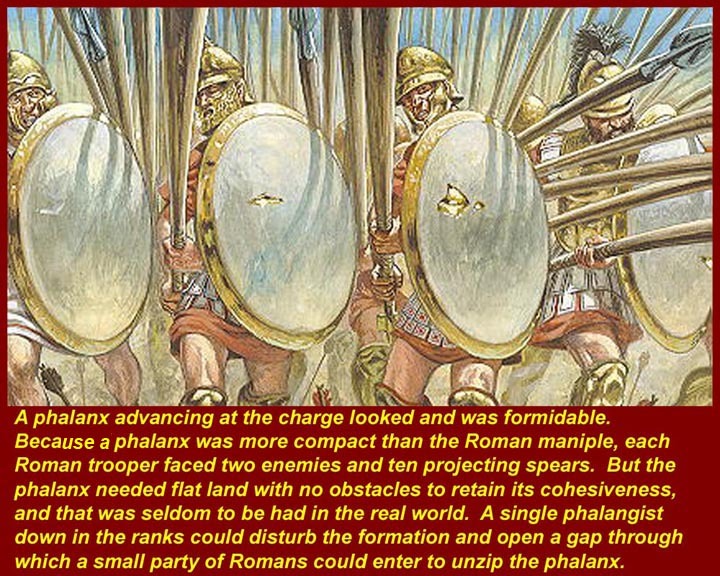 Until much later (Romans using maniples against Carthaginians) nobody figured out how to oppose phalanges. 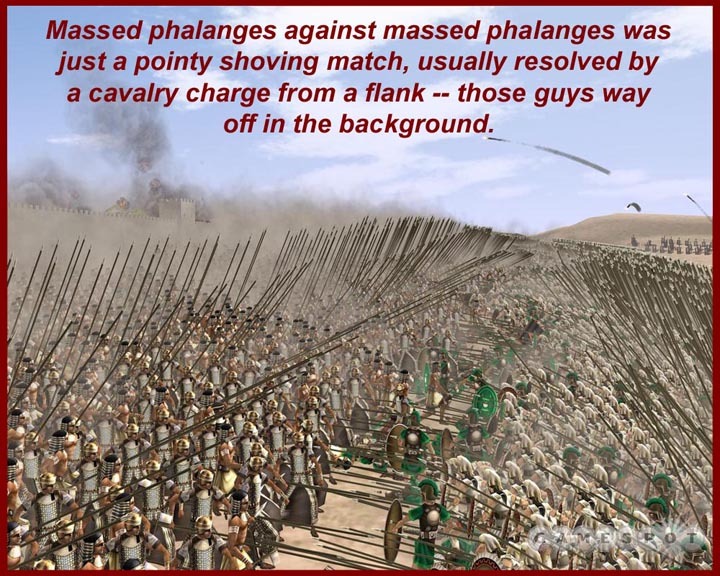 So phalanges simple pushed against each other in set piece battles on wider plains in Greek mountan valleys and on flatter land in Anatolia. Their obvious weakness was their inability to change direction quickly. 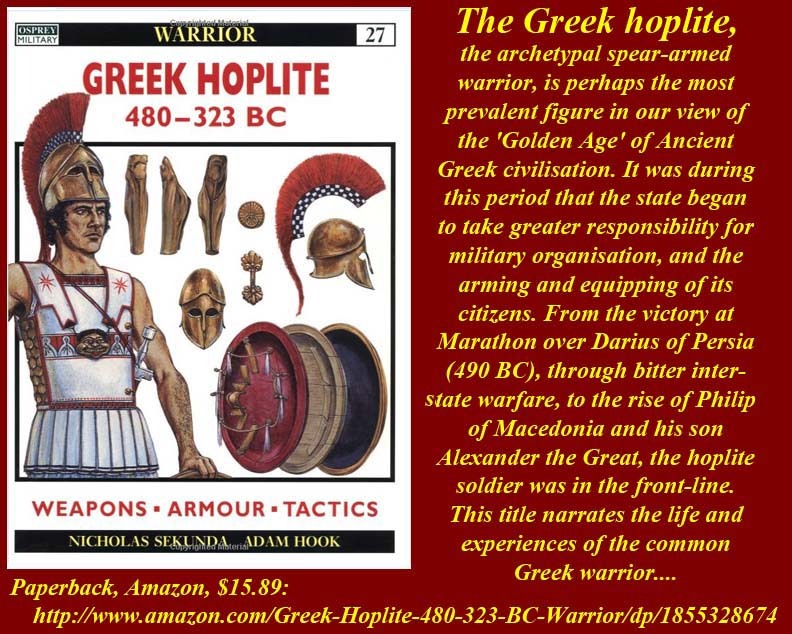 The hoplite citizen armed force led to limited democracy (very limited, of course, in ancient Greece). 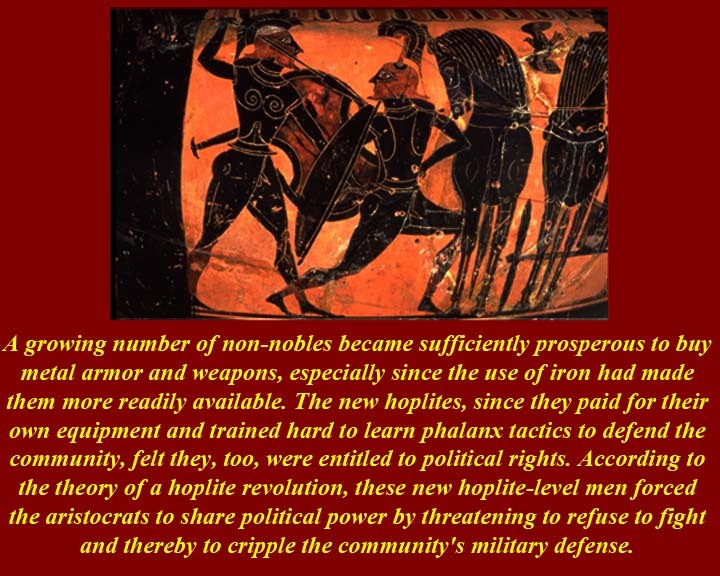 As more people (i.e., citizen men only) became wealthy enough to arm and armor themselves, they were able to apply pressure on the aristocracy by threatening to refuse to fight to defend the polis -- a low odds roll of the dice by the hoi poloi (= the many, or, more strictly speaking, the majority), who could not really depend on a better deal from conquerrers; they kill or more likely enslave them. At any rate, an armed citizenry is less easy to dominate -- see https://en.wikipedia.org/wiki/Second_Amendment_to_the_United_States_Constitution. 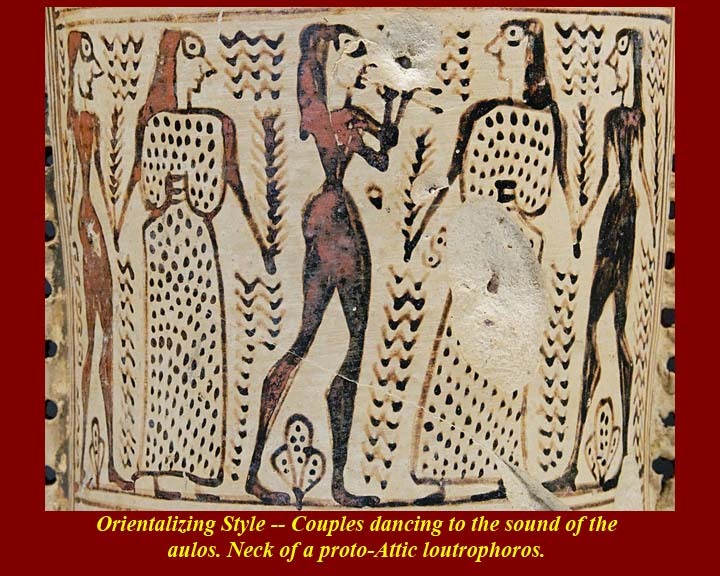 Because Athens was the polis most likely to produce written records of events and trends, we have much more evidence of what happened there than elsewhere. Rising power of the merchant class and others (hoi poloi) led to legal reforms. causing accidental death was exile. 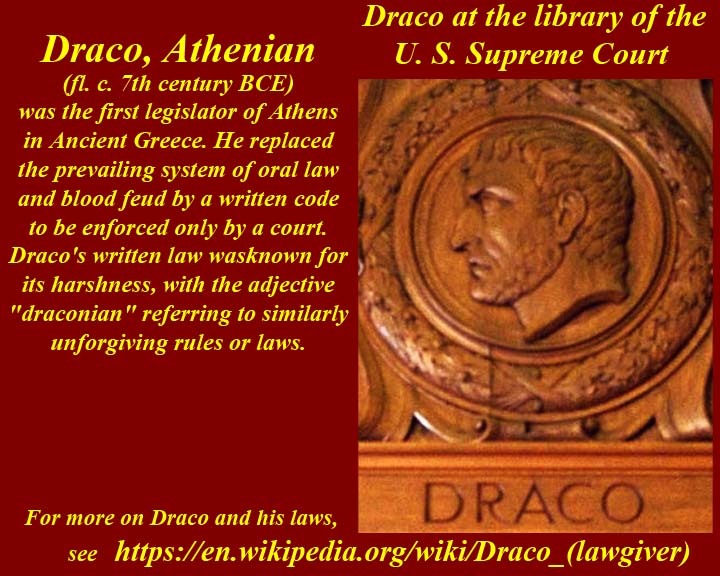 See https://en.wikipedia.org/wiki/Draco_(lawgiver) for more information on Draco and his laws. See links in the block immediatly below for Solon's attempted reforms of Draconian laws. 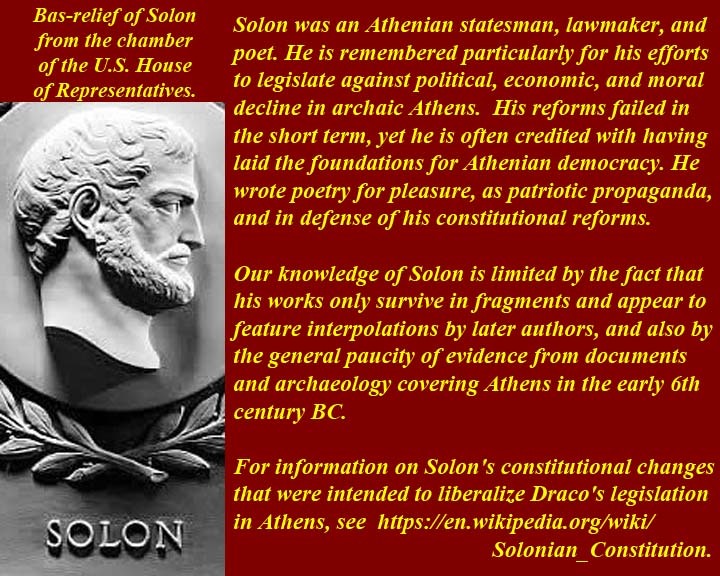 Solon was an Athenian statesman, lawmaker, and poet. He is remembered particularly for his efforts to legislate against political, economic, and moral decline in archaic Athens. Although his reforms failed in the short term, he is often credited with having laid the foundations for Athenian democracy. He wrote poetry for pleasure, as patriotic propaganda, and in defense of his constitutional reforms. 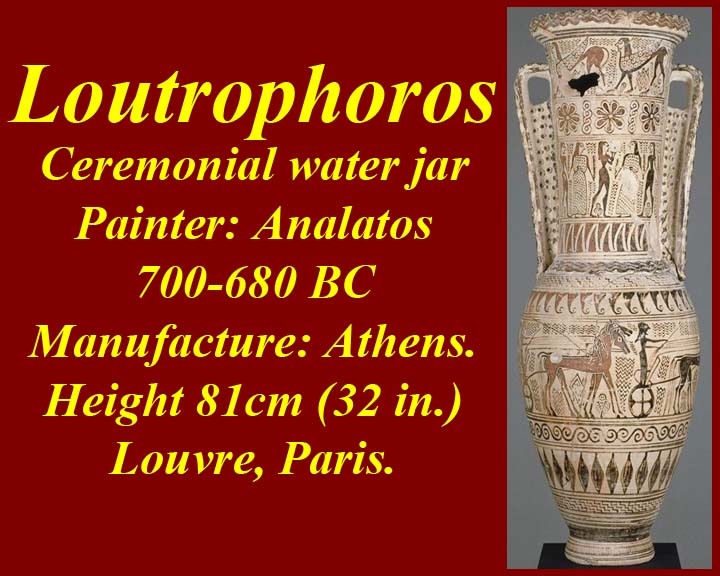 Our knowledge of Solon is limited by the fact that his works only survive in fragments and appear to feature interpolations by later authors, and by the general paucity of documentary and archaeological evidence covering Athens in the early 6th century BC. 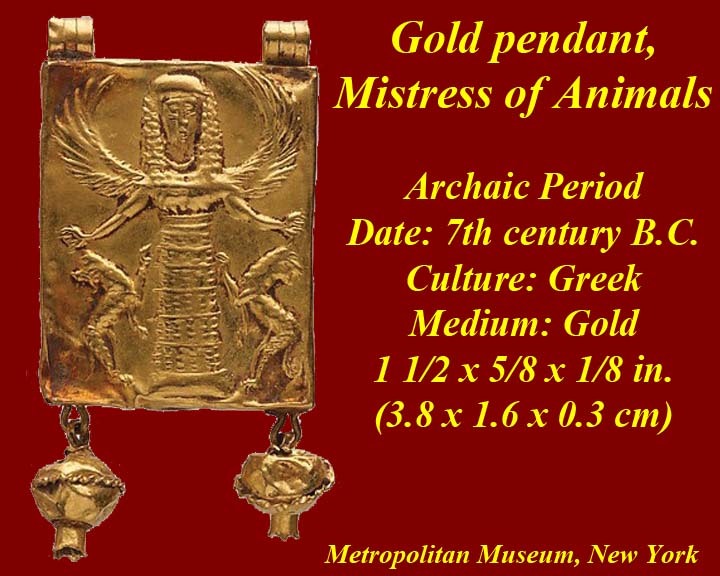 See https://en.wikipedia.org/wiki/Aristoi for definition of the aristoi and the evolution of the power of the rich over the power of the well-born in the laws of Solon and, for more detail on Solon's constitutional changes that were intended to liberalize Draco's legislation in Athens, see https://en.wikipedia.org/wiki/Solonian_Constitution. 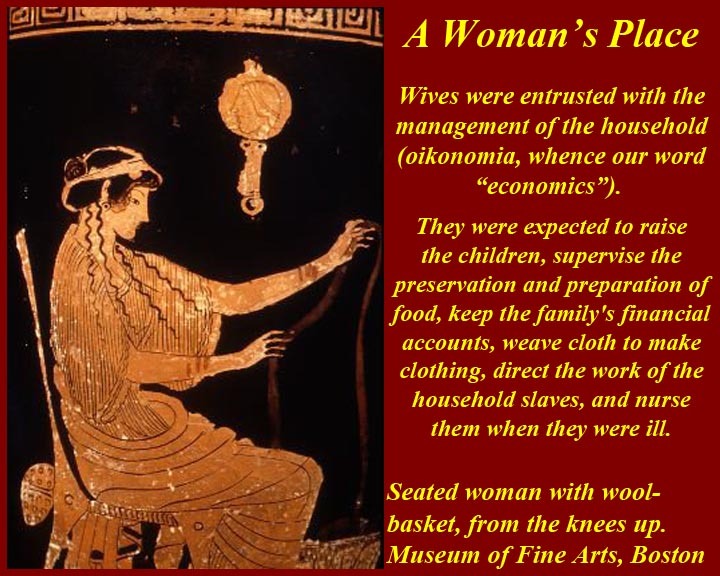 The ideal Archaic Greek woman was memorialized by Homer in the person of Penelope who loyaly, patiently, and craftily (in both senses) worked at her loom, while haunted by gold-digger suitors, for twenty years while he wayward (in all senses of the word) husband, Odysseus, tried to find his way home. 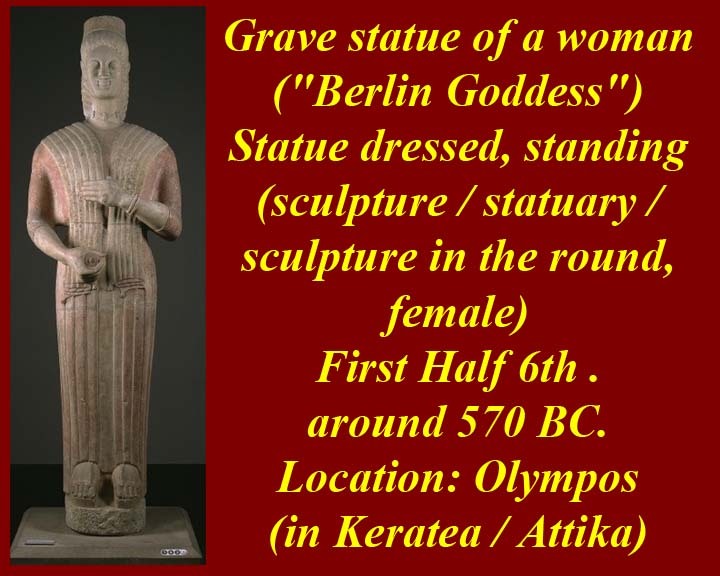 Clytemnestra, on the other hand, was the assertive woman, who avenged the putative sacrifice by Agamemnon, Clytemnestra's husband, of her daughter, Iphigenia, at Aulis at the outset of the Trojan War. 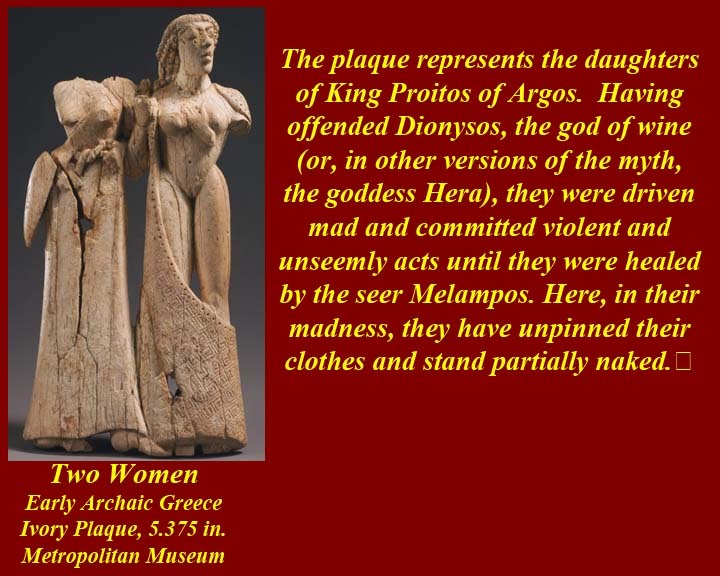 (We are told in the myths that Iphigenia was whisked safely and secretly away to Tauris by Artemis, but Clytemnetra is unaware of this.) 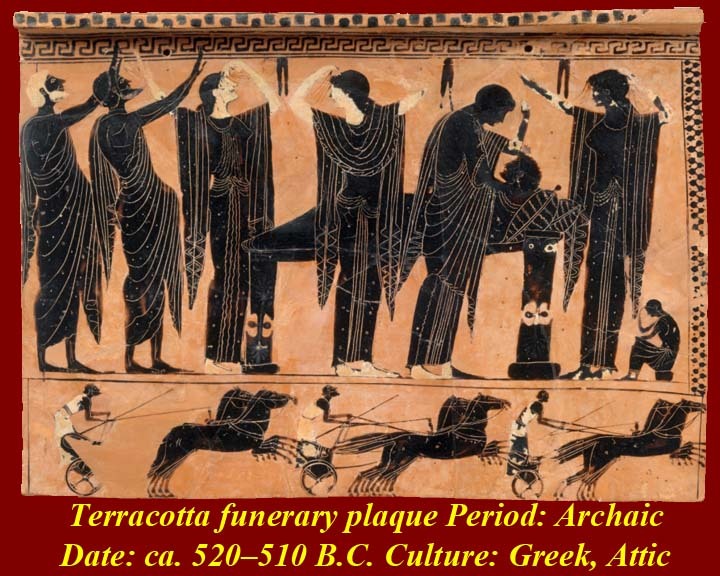 Agamemnon eventually returns fro the Trojan War (ten or more years away) and finds that his wife has taken his cousin Aegisthus as her lover in his absence. 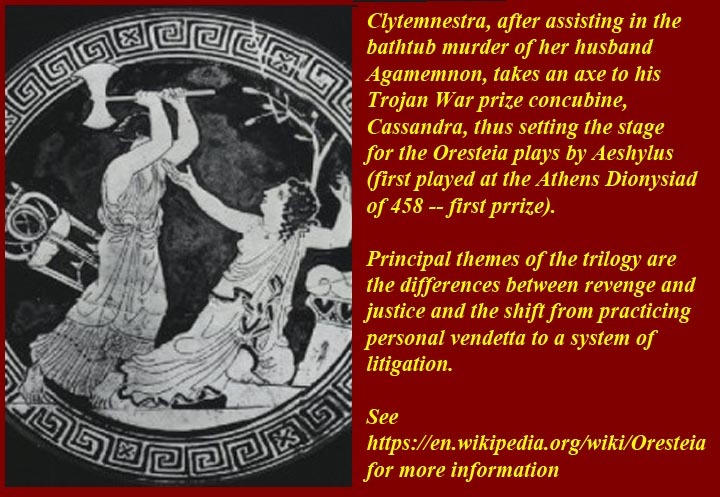 Clytemnestra kills both Agamemnon and Cassandra, his war prize concubine. 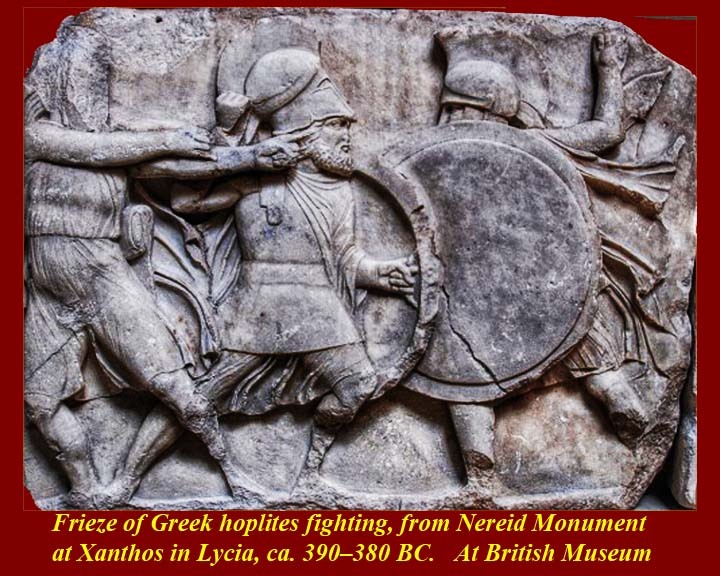 The fallout is the subject of plays by Aeschylus and Euripides in the Classical Period after the Persian Wars. 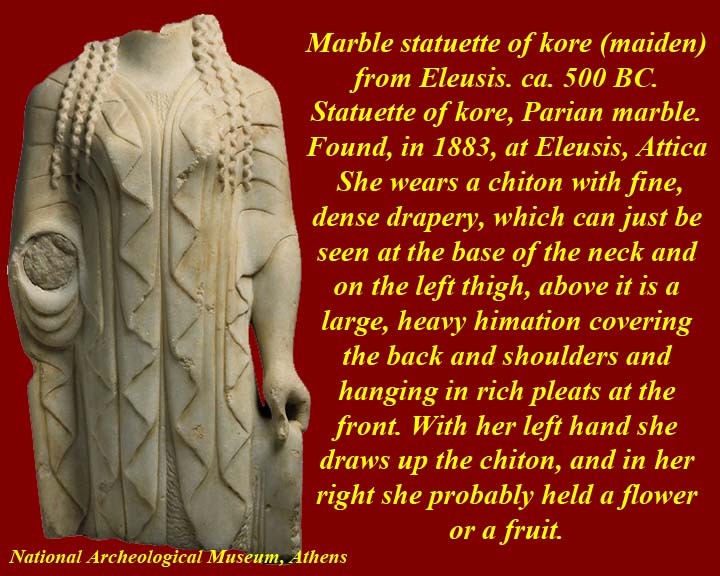 The submissive and femme fatale iconic Greek women are still archetypical in literature, drama and art. Use any Internet search program to find more information on the characters mentioned. 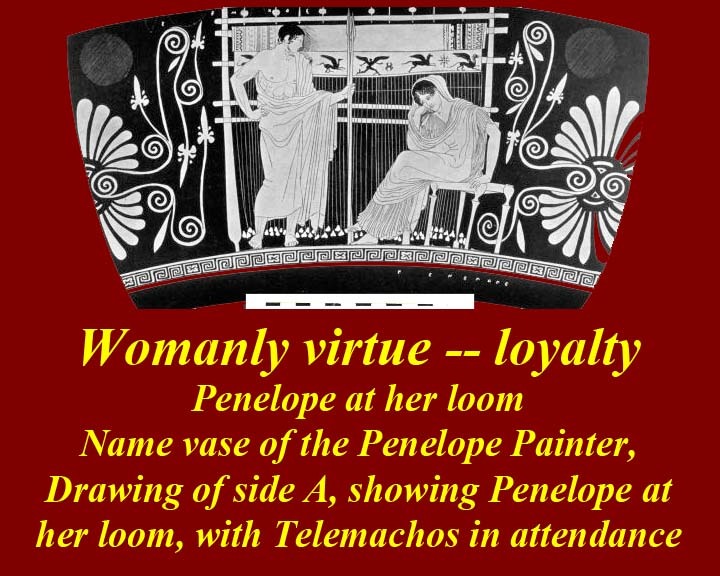 Wool and weaving became the symbols of submissive womanhood for the Greeks and later for the Romans. 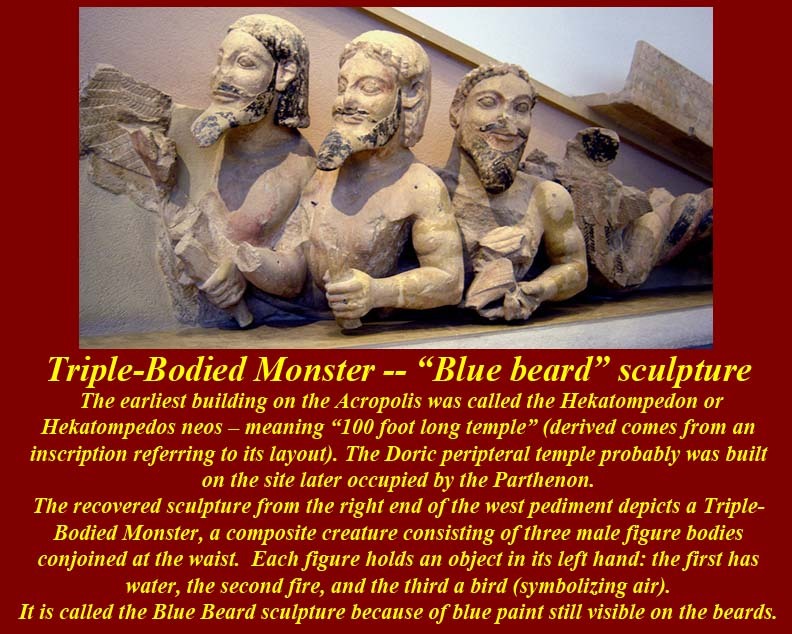 According to most ancient sources slaves in archaic Greece (as well as in later periods) always outnumbered free people. 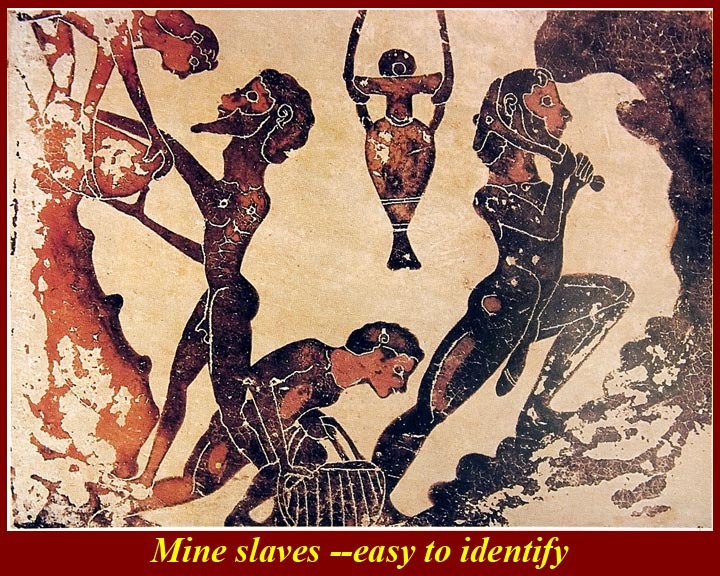 Slaves became slaves either by war capture (mostly women and children -- the men were routinely killed off), or by kidnapping by pirates or brigands, or by birth. 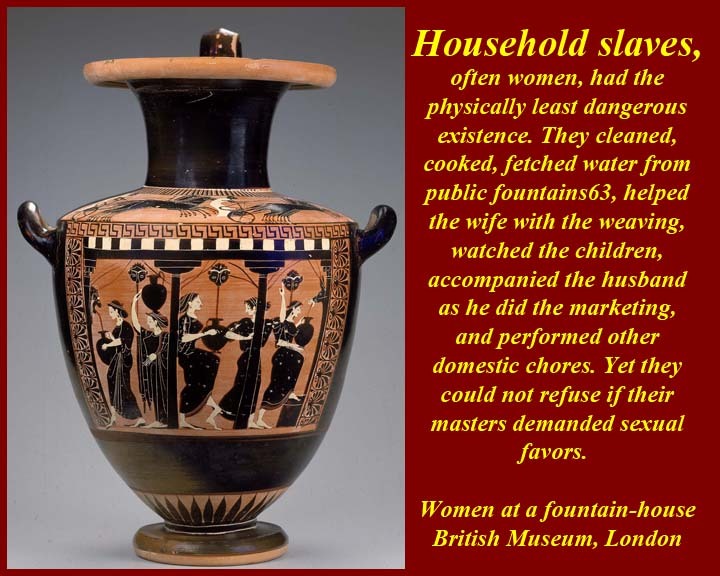 The ancient Greeks had several words for slaves, leading to textual ambiguity when studied out of their proper context. 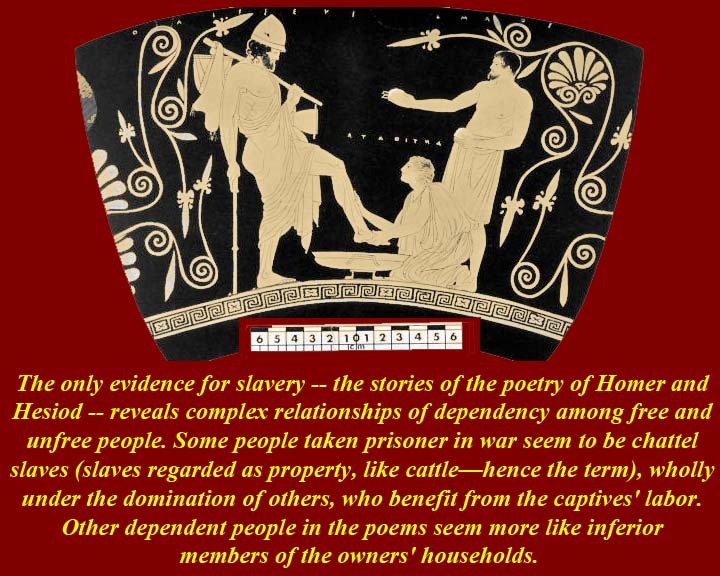 In Homer, Hesiod and Theognis of Megara, the slave was called δμώς / dmōs, The term has a general meaning but refers particularly to war prisoners taken as booty (in other words, property). 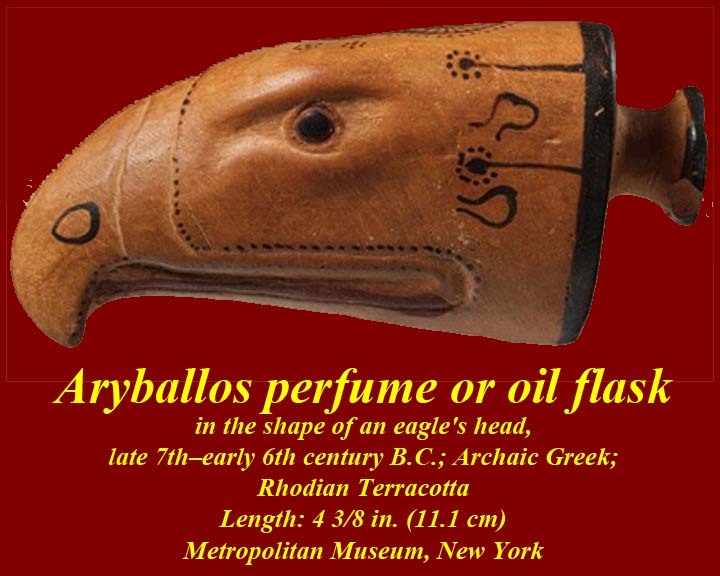 During the classical period, the Greeks frequently used ἀνδράποδον / andrapodon, (literally, "man-footed") as opposed to τετράποδον / tetrapodon, "quadruped", or livestock. 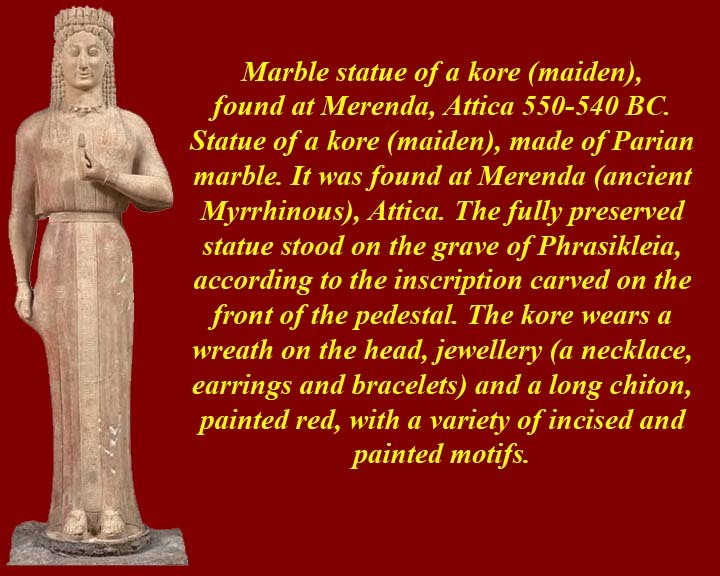 Linear B: The verb δουλεὐω (which survives in modern Greek, meaning work) can be used metaphorically for other forms of dominion, as of one city over another or parents over their children. 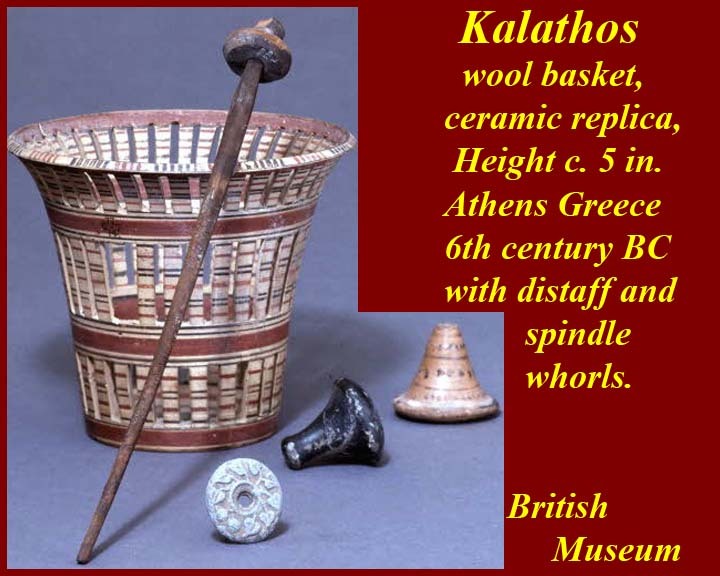 Finally, the term οἰκέτης / oiketēs was used, meaning "one who lives in house", referring to both household servants and house slaves. θεράπων / therapōn – At the time of Homer, the word meant "squire" (Patroclus was referred to as the therapōn of Achilles and Meriones that of Idomeneus; during the classical age, it meant "servant". 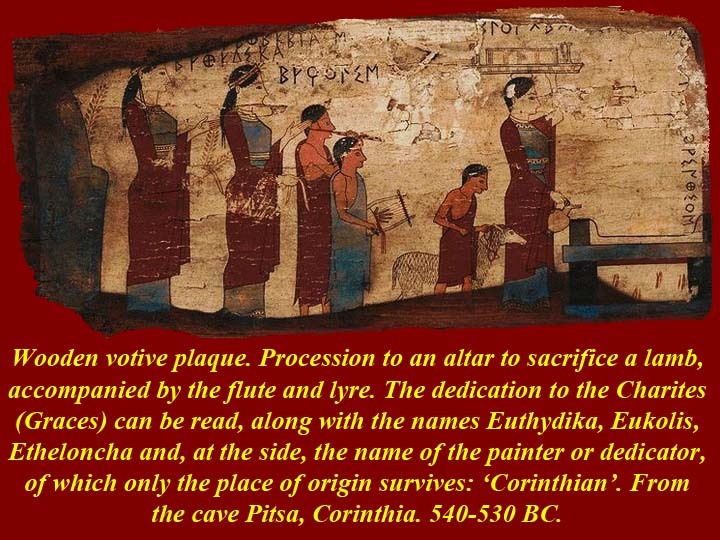 παῖς / pais – literally "child", used in the same way as "houseboy", also used in a derogatory way to address adult slaves. 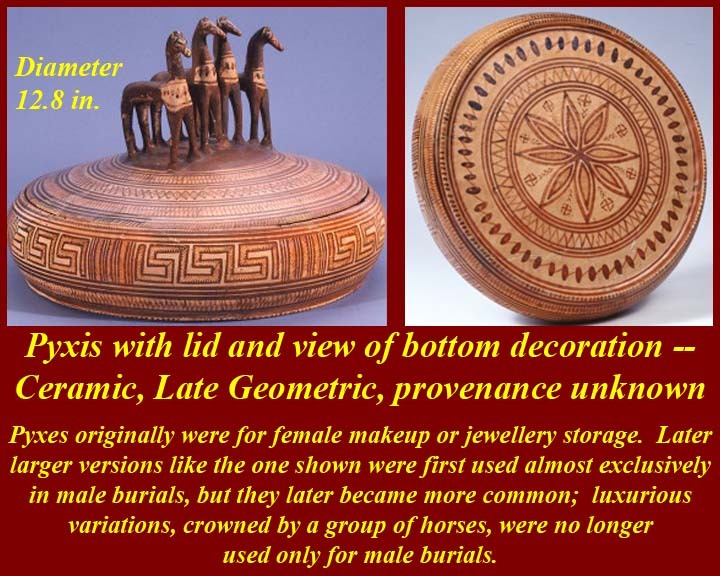 a. Geometric Pottery is fully developed (proto-geometric being a product of the Greek Dark Age). 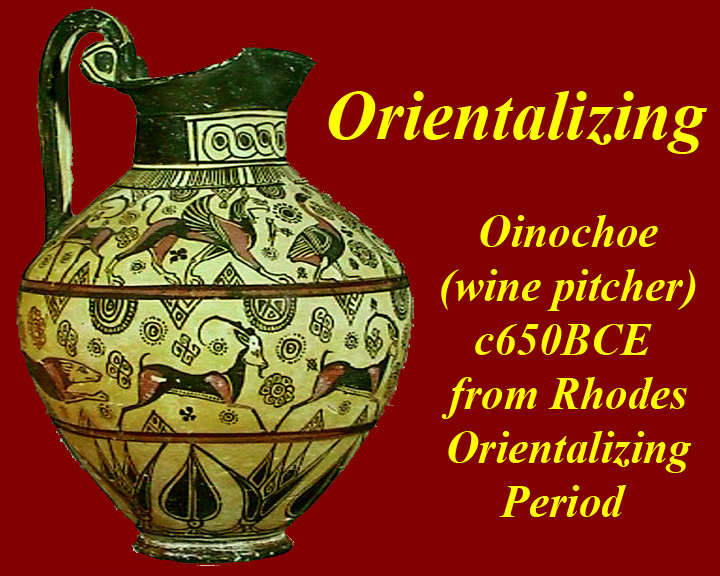 b. Orientalizing Pottery -- characteristics of Middle Eastern pottery making and painting adopted and adapted in Greek pottery. 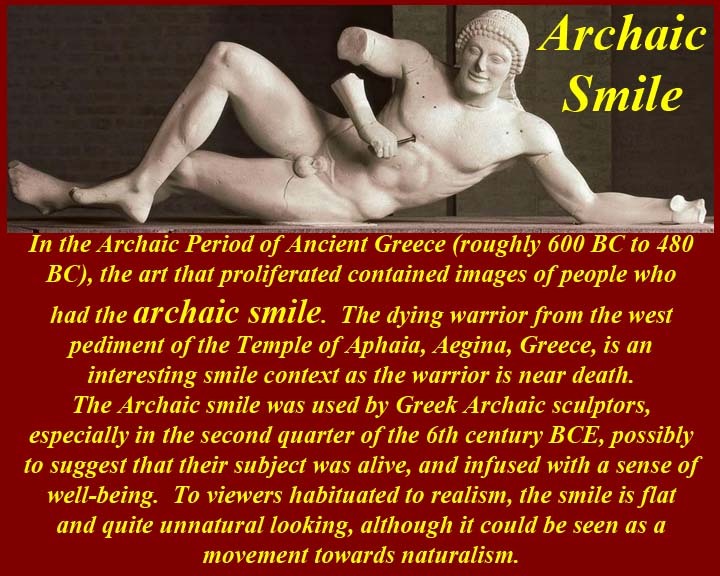 Check out the "Archaic Smiles" in the last three sculpture images.